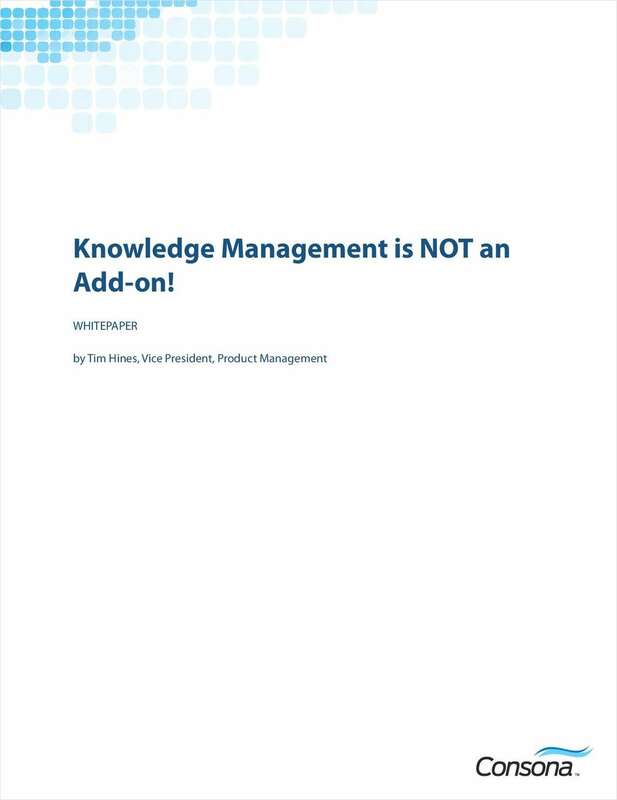 "High-Tech and Telecom Customer Service and Support: Knowledge Management is NOT an Add-on!" Free White Paper: "High-Tech and Telecom Customer Service and Support: Knowledge Management is NOT an Add-on!" This white paper for high-tech customer service professionals explores the advantages of a truly knowledge-centered support initiative.